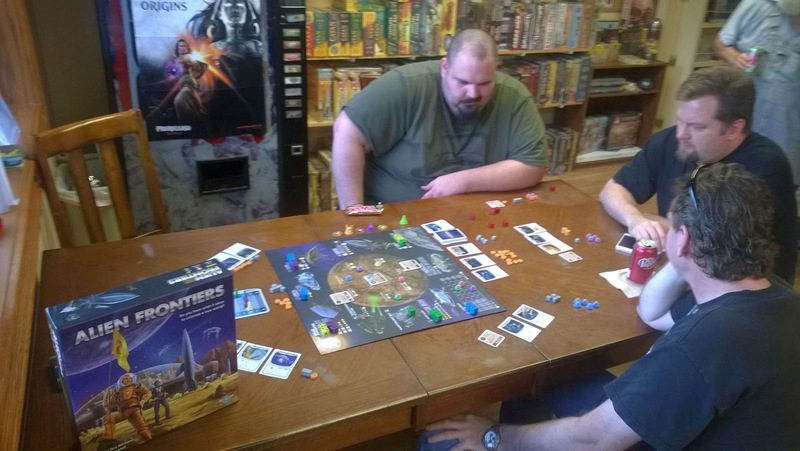 Not long ago, my buddy John picked up a copy of Alien Frontiers (2010). It just goes to show how many cool games are available that I don't recall having heard of this one before even though it fits squarely among the kinds of games and themes I like. We played it a few weeks ago and then again last week and I've found the game challenging enough to want to play it at least a few more times in the near future (after which I'll probably want to see it played from time to time). While I wouldn't call it a must-play game, I think it could be and I'll know better after we integrate all of the expansions. 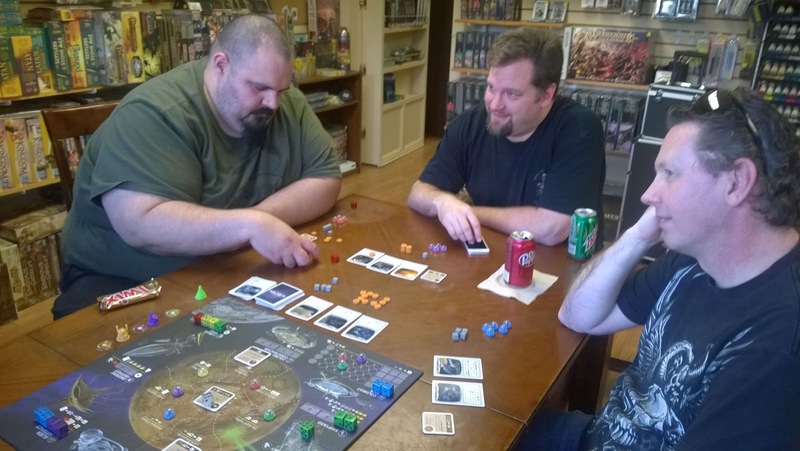 We have tried the game with the expanded technologies, though don't ask me which ones. The few I snagged when I could were ones I knew from the base game and the others seemed intriguing but weren't available to me when the associated orbital station was open to me. I'm not sure which of the many packs John owns but I believe he has most of them. The factions haven't been tried yet but he has them and I am keen to see them added into play. 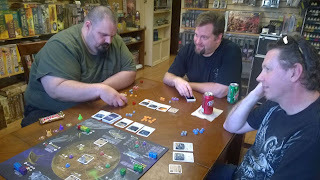 I'll blog about this game again after another play or two. The game is a tight race even if the dice aren't doing the players any favors which I think speaks to the balance preventing runaway victories. It may also be that we aren't playing cut throat enough just yet. 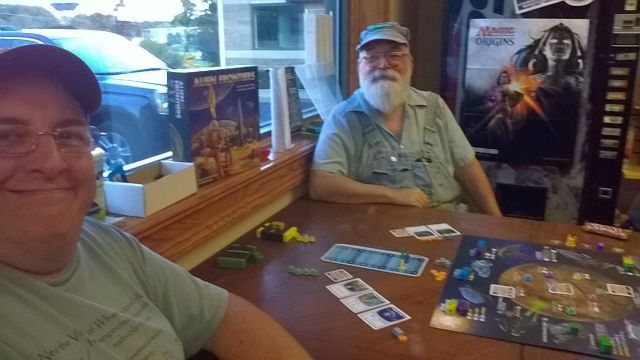 With the folks I play with and against, that usually comes after we've had a go or two at the game with most of the expansions in place unless the game is specifically designed to be played no other way. So far, there seems to be a lot of room on the frontier and competition tends to manifest as the occasional tech card thefts and only minor raiding.